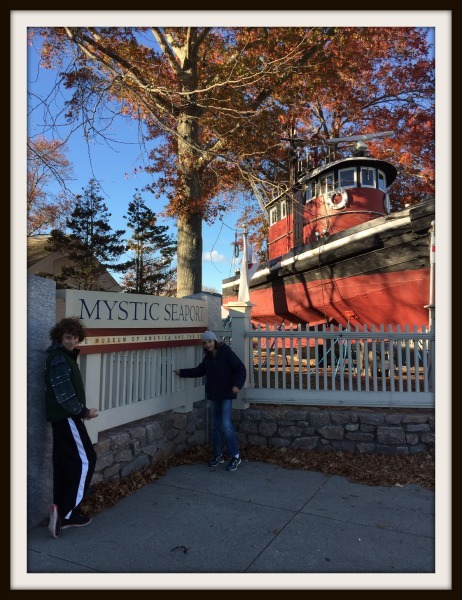 My husband and I visited Mystic, Connecticut on our first wedding anniversary. It was a thrill to bring our kids there this past weekend. 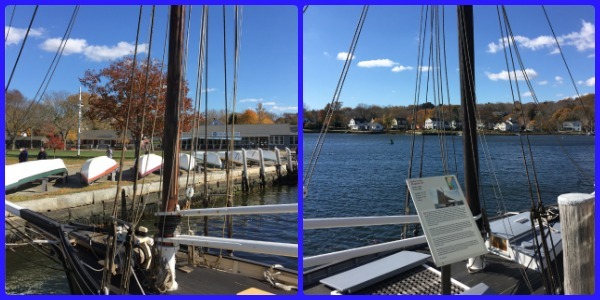 Now that we own a sail boat I thought our kids would get a kick out of visiting the Mystic Seaport The Museum of America and the Sea. 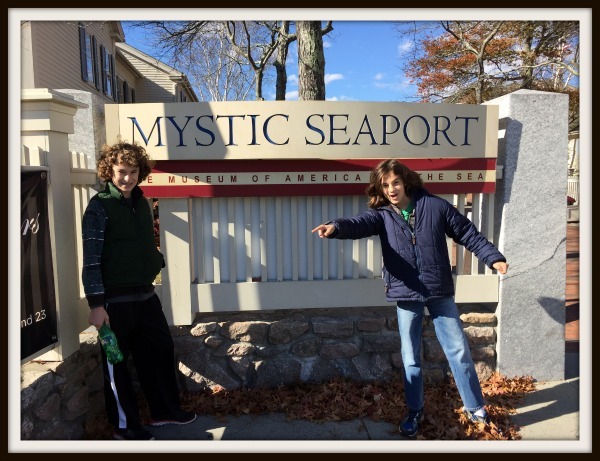 We had driven by a few times during our stay in Mystic and the boys were excited to actually get in and check it out. 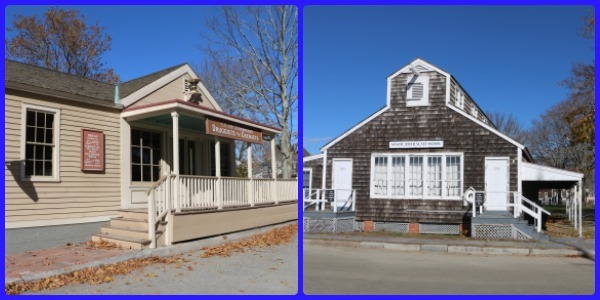 The Museum suggests breaking up your visit into three zones: the Preservation Shipyard, the 19th Century Maritime Village, and Contemporary Galleries & Exhibits. You’ll get your map and list of the days events at the visitor center. I forgot how large the grounds actually are ( 19 acres) and you really need a full day to enjoy your visit. We started at the Thomas Oyster House as there was a talk on Oystering on Long Island. It was hard getting there because son had to read every single sign we ran across on our walk. Everything is clearly labeled so you can be your own guide. Exhibits with signal flags out front are staffed by professional educators. That’s were we learned about the oysters! 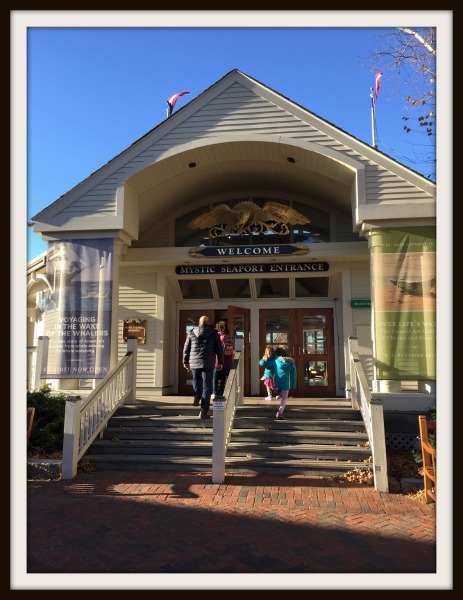 The Mystic Seaport Museum has something for everyone, especially families. Family activities are clearly labeled on the list of daily events. There is also lots of room to run around outside. They have a Playscapes area where kids can climb aboard play boats and make pretend to sail away. There is also a Children’s Museum, Discovery Barn, and the museums newest family center HomePort. We didn’t visit any of these places as my boys are a bit older and we were short on time. We did visit the Treworgy Planetarium. It’s small in size, but perfect for children as well as adults. We attended the Harvest Lights program and were able to learn about our Fall sky. On the way out we each received our own Sky Guide to take home for free! There are four places to get food and snacks. I was thrilled that the Galley Restaurant served a veggie burger along with soups, salads, sandwiches and kid friendly foods! They also had beer! You order cafeteria style then pick up your food at the end. I thought the food was reasonably priced for a museum. The water was almost $3 so I suggest bringing your own. 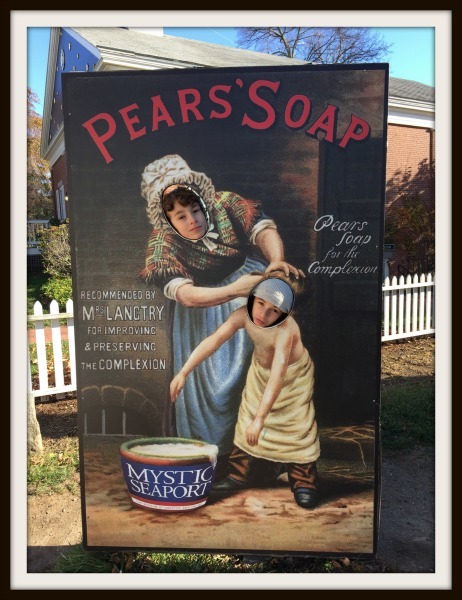 We had the most fun visiting the 19th Century Maritime Village. They have a large to scale model of the village. It is amazing and housed in its own building. An audio recording guides through the village. 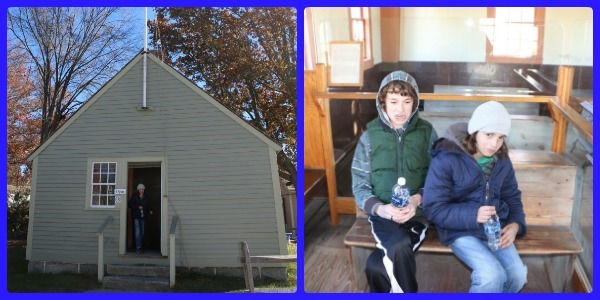 Don’t my kids look thrilled that I brought them into the schoolhouse! Some of the building are staffed with a guide, other have signs and audio recordings. I loved talking to the staff. They were knowledgable and made the buildings come to life with history. We learned so much. My boys loved taking photos throughout the village in these signs! As I said before, there are plenty of distractions to keep the kids busy. We had a few good laughs! We also ran across the Draken again! The Draken is a replica Viking ship that has sailed across the Atlantic ocean. We visited the Draken in New York when it was open to the public. It was nice to be able to view it here without the crowds waiting to get on board. We did get to go on board the Charles W. Morgan. The whaleship Charles W. Morgan was built in 1841 in New Bedford, MA. Made 37 voyages that took her around the world during her whaling days. The Morgan retired in 1921 and has been featured in several movies. The Morgan is the last wooden whaleship in the world. 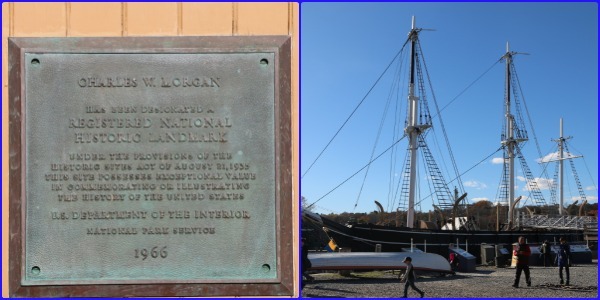 Including the Morgan, Mystic Seaport has four National Landmark vessels. 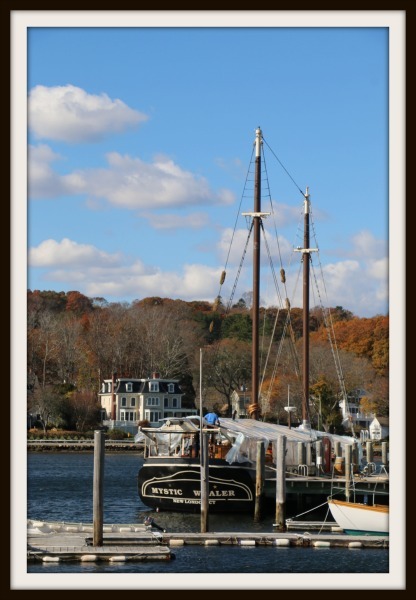 A trip to Mystic certainly needs to include a visit to the Mystic Seaport Museum. 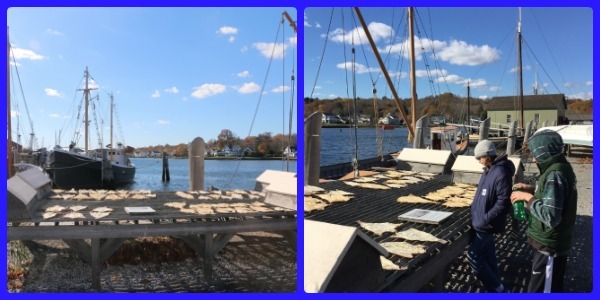 Visit the Mystic Seaport Museum website for hours, ticket prices and promotional offers. I know that we will back again. Disclosure: We received complimentary tickets for our visit. All thoughts belong to me and my children and have not been influenced. Very cool place. Looks like you all had a fun day with added bonus of learning by seeing! This place seems amazing…I love it when places are educational as well as fun, and family friendly is the best. Your pictures are great, I would love to visit this place and I bet it brought back fond memories from your first anniversary. Your children look as though they really are having a good time. What a fun trip! My kids would love this. We’ve never been before but I’m adding this to our list of places to visit. Looks like you had a great time! They had fun man. That pic with them in the Pears soap. I love fun and educational visits. This looks like such a great family outing! 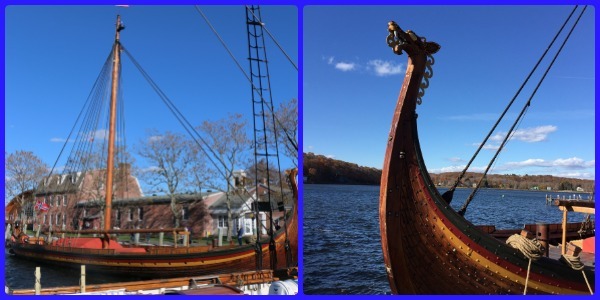 I love the replica Viking ship too! That would definitely be an incredible highlight for me! This place reminds me of our trip to Jamestown. The kids really enjoyed it and I think they would like this place too! This place looks wonderful! I’d love to visit. That’s cool that they have both an aquarium and museum. Most cities are lucky to have one of them!